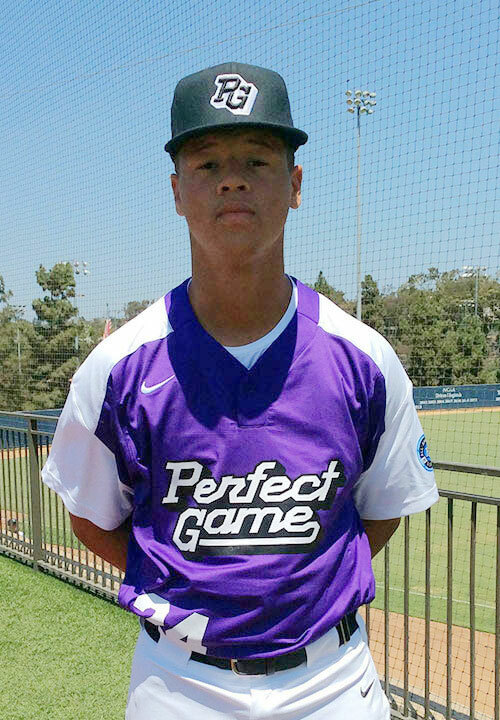 Irving Carter is a 2021 RHP/1B with a 6-3 205 lb. frame from Boynton Beach, FL who attends Calvary Christian Academy. Extra-large, athletic frame with broad shoulders and present physical strength proportioned throughout frame. Primary righthanded pitcher, up-tempo delivery with high leg lift at start of delivery; gathers on backside and uses a short stride down the mound, can incorporate additional lower half into drive by remains directional and generates plane. Quick arm with a full path in the back, works to an over-the-top release point, fastball topped out at 91 mph and maintained velocity very well throughout, some effort at release with short life down. Changeup is a weapon pitch, replicates release well with similar slot and shows nice life down in the zone at 80 mph with occasional cut, able to get swings and misses. Slider developed nicely throughout, tighter and deeper the more he threw it, up to 79 mph, Righthanded hitter, begins with a wide base and a high hand set and back elbow in the box; utilizes a leg lift trigger for timing at the plate. Short swing and keeps hands inside the ball throughout the swing, looks to get separated at point of contact, comfort working to pull side. Excellent student. Named to PG Underclass Top Prospect List. 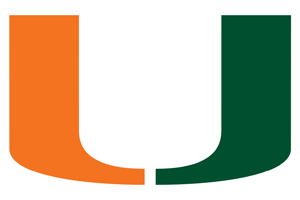 Verbal commitment to Miami.